Rev. Cottrill grew up in Claremont, CA. 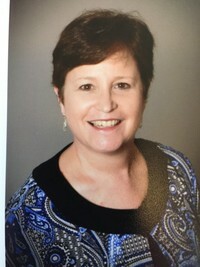 She received a Bachelor of Music Degree in Applied Clarinet from Cal State, Northridge; a Master of Music Degree in Applied Clarinet from West Virginia University; and a Master of Divinity Degree from Phillips Theological Seminary in Tulsa, OK. After teaching clarinet lessons for 15 years, she answered the call to ordained ministry. She has served in the Oklahoma Conference of the United Methodist Church since 2007. She has served at Heavener/Hodgen; Blackwell; Nichols Hills; Selecman (OKC); and currently at Lexington/Washington. She is married to Jerry and together they have two grown children: Drew (Carlsbad, CA); and Leah (OKC).